Answered by Dr. Devendra Ashok Jadhav and medically reviewed by iCliniq medical review team. I am having hair loss problem and now it is in starting stage. I have consulted a doctor for this. He suggested Minoxidil and Finax. I would like to get a second opinion from you. • I do not have oily foods but still have pimples. Why? • How do I fade the acne marks without laser treatment? I am need of few important details regarding your hair fall. What is your age? Do you have any dandruff? If you are young and having hair loss without any dandruff then the prescribed treatment is very correct for you. 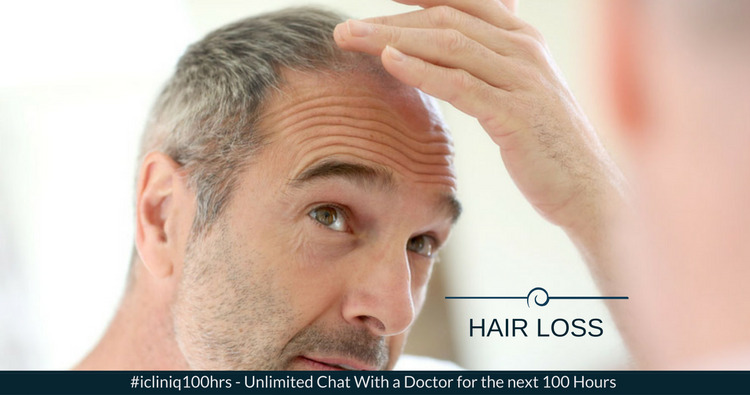 Minoxidil is a vasodilator which increases blood supply to the hair roots and helps in hair growth whereas Finax is Finasteride. These medications will show effect when using for 1 to 2 months, provided that you must use it compliantly without missing any doses. These are very effective medications. If you have dandruff then please get treated your dandruff which is most commonly by fungal infection of scalp. For that you have to use Ketoconazole shampoo for scalp thrice weekly for three weeks and further treatment depends upon the progress of hair fall.